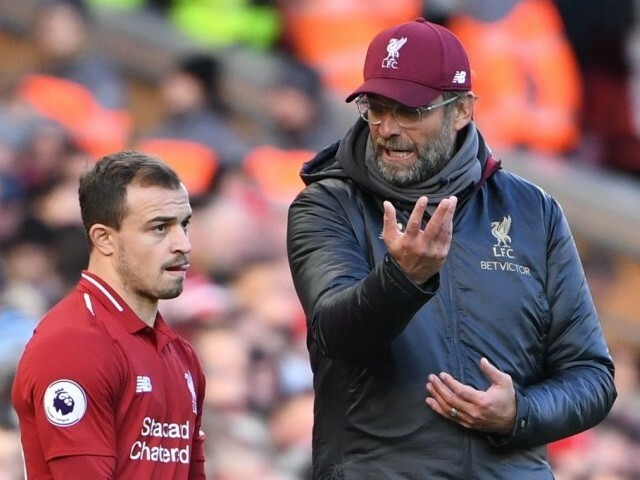 BRIGHTON: Criticism of Jurgen Klopp’s decision to make nine changes in crashing out of the FA Cup to Wolves will be fleeting as long as Liverpool bounce back quickly in their quest to land a first league title for 29 years, starting at Brighton on Saturday. Klopp rested Alisson Becker, Andrew Robertson, Virgil van Dijk, Trent Alexander-Arnold, Georginio Wijnaldum and Sadio Mane for Monday’s defeat at Molineux, while Mohamed Salah and Roberto Firmino only made cameo appearances off the bench for the final 20 minutes. Liverpool have now been eliminated from both domestic cup competitions at the first hurdle, but that will be a small price to pay should they hold on to a four-point lead over Manchester City at the top of the Premier League. After visiting the Amex on Saturday, Klopp’s men have another three eminently winnable home fixtures against Leicester, Crystal Palace and Bournemouth plus a trip to West Ham before facing Bayern Munich in the Champions League. Those five games provide the perfect platform for Liverpool to at least consolidate their lead after the disappointment of losing their unbeaten record in the Premier League to City to give the champions a foothold back in the title race.